Effective Dental Marketing for the New Year. Effective marketing is an essential part of a practice’s success. Just as there is a science and art to good dentistry, so there is a science and art to dental marketing. We have been providing effective dental marketing for dentists since 2007. My partner and I come from corporate and agency backgrounds and have successfully marketed business large and small for a combined total of over 60 years. We have taken proven methods of marketing and applied them to the field of dental marketing–with phenomenal results! We have meticulously trained our team to follow our proven methods and the many best practices for dental marketing that we have developed. There are some basic principles that when adhered to ensure the phone rings. We employ these in every marketing campaign we create. Use market research. Survey some of your patients and find out what they like about your practice. Check out what other dentists in your area are doing. Study the demographics of your zone. Personalize your marketing. Take photos of your practice and patients and write about the benefits of receiving procedures at your practice. Make sure you use attractive and appropriate design and imagery that enhances your marketing messages. Get your marketing piece or website in front of the correct target audience. Keep track of the results of your marketing. Use grids and call tracking. 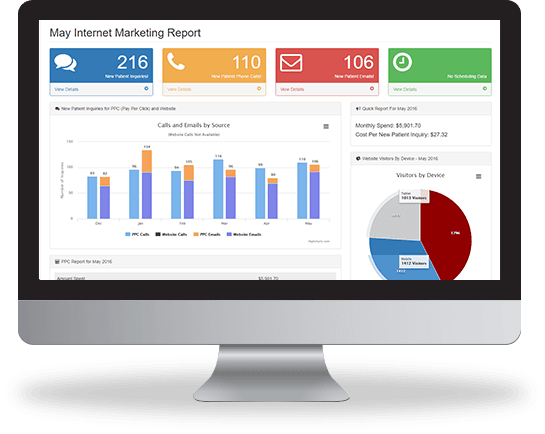 Call tracking also allows you to listen to the calls and improve your front desk’s ability to schedule new patients. These are some of the major principles to watch out for. There are many other details that are important to a marketing campaign’s success. Please give me a call to find out more! 855-486-2410. Or email me at info@gilleardmarketing.com .